At Brasada Ranch, which The Oregonian named the state's "Best Destination Resort," you can do it all: golfing on Brasada Canyons, spa treatments at Spa Brasada, horseback riding and 1,800 acres of hiking, all with beautiful views of nine Cascade Peaks. In between adventures you can enjoy farm-to-table dining at Ranch House or Range Restaurant and Bar. Sleep soundly in either one of eight dreamy Ranch House Suites or one of 50 Sage Canyon cabins with two, three or four bedrooms. Curl up around an outdoor firepit and roast s'mores while admiring the sunset. 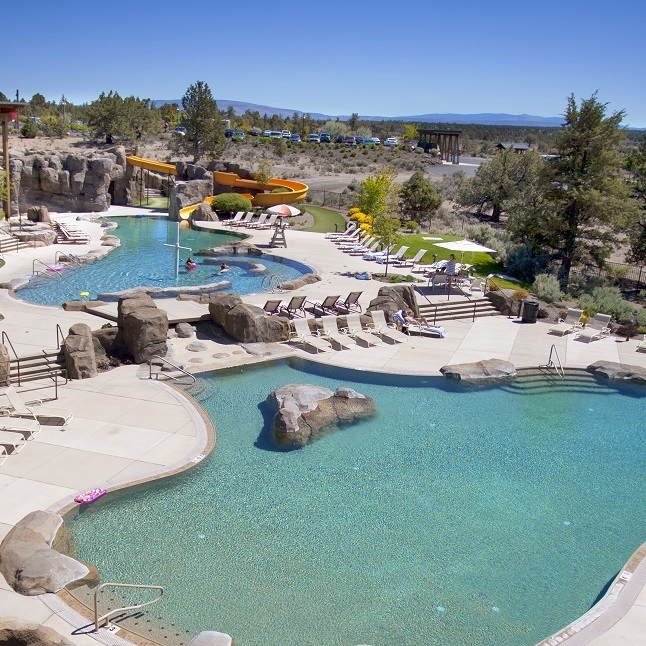 A great getaway for the whole family, The Ranch offers fun for kids with Cosmic Pool Parties, Cowboy Cookouts, a water slide, The Hideout, and more!